We have two service site opportunities: House of Mary and Joseph Shelter and the Marquard Center Soup Kitchen. House of Mary & Joseph is an emergency overnight shelter. Every night of the year, we welcome 209 men and 37 women. Last year we served an estimated 1,930 different individuals. Volunteers provide hospitality to guests each night. Volunteers at this site work overnight shifts and assist with intake, donations, supervision and daily donation runs. Volunteers have an opportunity to visit and build meaningful relationships with guests during their service year. The Marquard Center serves an evening meal to an average of 115 men, women, and children every night of the year. We strive to recognize our guests by name, welcoming them into our own home. In addition to an evening meal, we offer two unique services that are often difficult for guests to find: shower and laundry services. 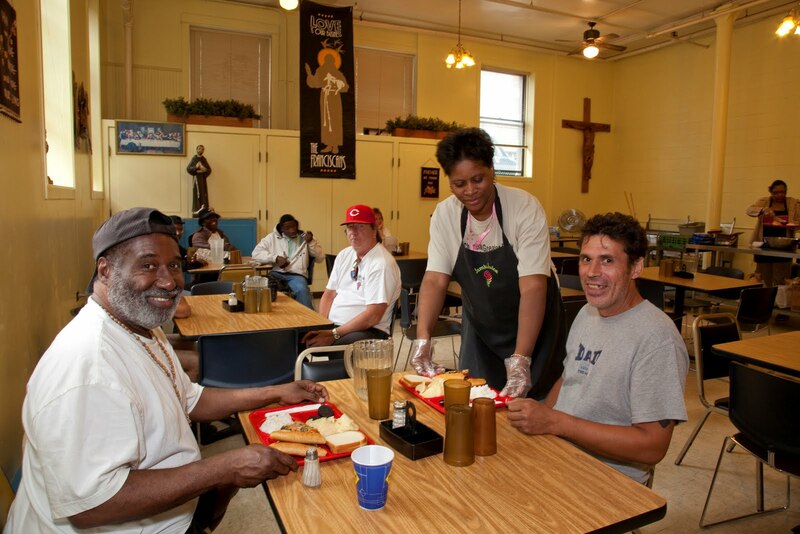 Volunteers at the Marquard Center help prepare a meal, facilitate laundry and shower services, and orientate individuals and groups who come to serve the meal. Volunteers work closely with guests and are able to build meaningful relationships.